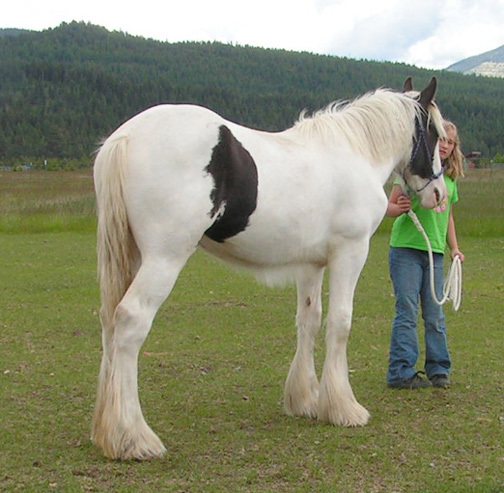 We are happy to announce the sale of Snow to our friends Tanya and Scott of Mariah Farms. Snow deserves a home where she will be in the spotlight, and Tanya and Scott are just the folks to do it. Keep an eye out for this amazing filly!! 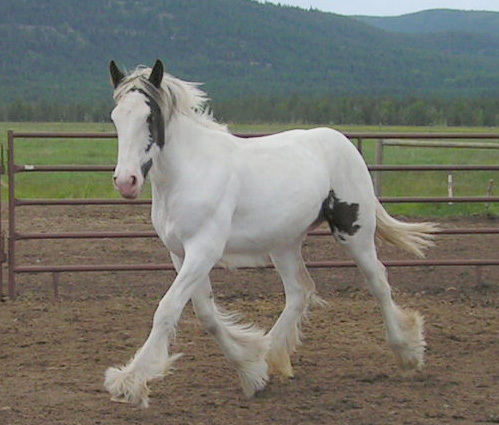 Snow is our first premium Drum Horse Filly. She was born June 19, 2004 and is already 15 hands tall! 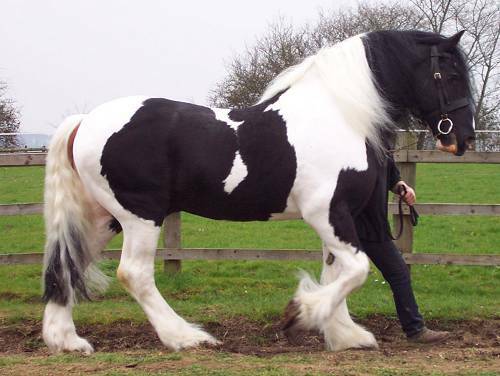 Her sire is the famous Galway Warrior who originally belonged to the Queen of England and was used as a herd stallion for Her Majesty's Drum Horses. 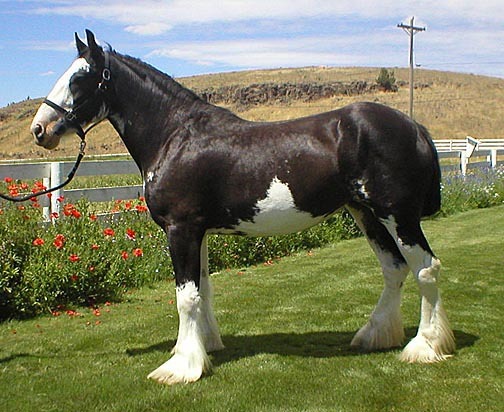 Her dam is the exceptional registered black Clydesdale mare Donegal Sue. Snow is an awesome filly - she is correct and elegant. 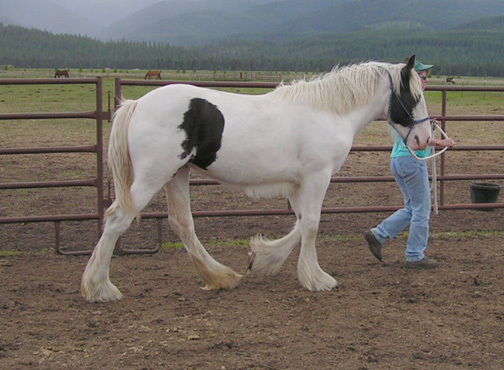 Her gaits are balanced and powerful. 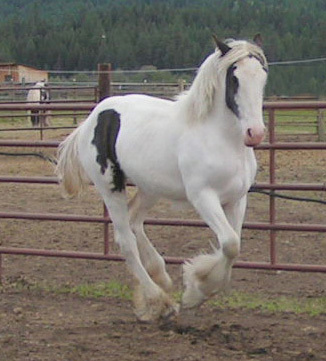 Her markings are very unique, combining the tobiano and the extreme sabino patterns. They really make her a show stopper. Snow is already 15 hands tall so it looks like she will be as large as both her parents who are over 17 hands. 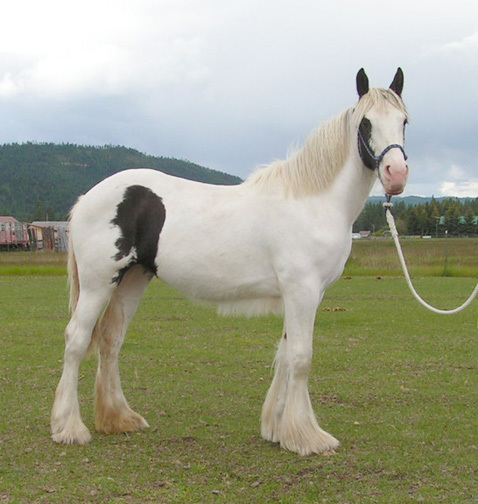 This filly is the epitome of what a Drum Horse should be. 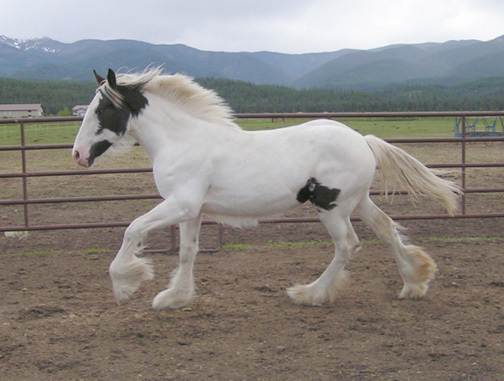 She has a wonderful calm disposition, is incredibly athletic, and is already growing tons of mane and feather.